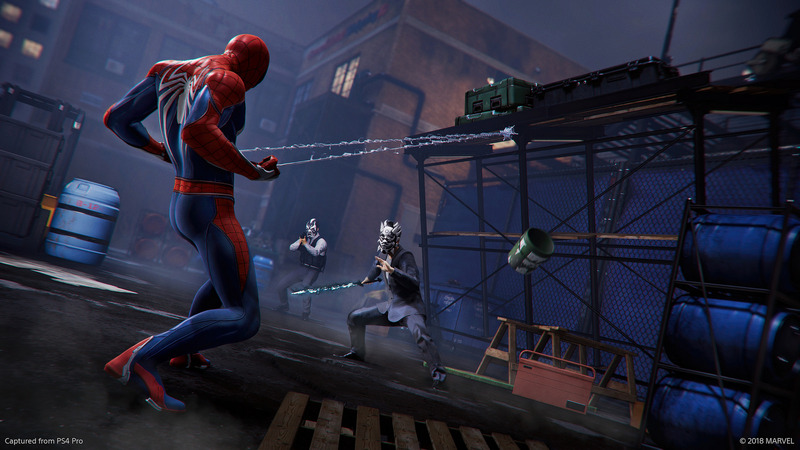 Spider-Man has a lot of moves and a lot of enemies to take down in his latest PS4 adventure. Here’s some tips for staying alive in this newly dangerous Manhattan. While Peter Parker thinks that he’s about to finally crack crime in New York at the onset of Marvel’s Spider-Man for PS4, things don’t quite go to plan for him. Needless to say he ends up having to deal with a lot of enemies all at once – and juggling all of those bad guys can be challenging to say the least. If you’ve played an open world video game in something like the last ten years, you know all about towers – points of the map where you clamber them and sync-up with the world, downloading map and mission data that’ll then help you out around the world. How pressing these towers are depends on the game – in something like Zelda Breath of the Wild you can really take your time, not clearing some towers until you’re twenty-plus hours into the game. In Spider-Man, however, you’ll want to get your map filled out completely as soon as possible. Here’s our advice: try to decide what you can and can’t stomach doing and when. The back-end of the game is combat heavy both in terms of the main content and the side missions that newly unlock towards the end of the game, so you may want to save some non-combat side missions such as Backpacks, Landmarks and Research for the latter half of the game to break up the combat. Those mission types all unlock early, but if you complete them all as they unlock you’ll be far more combat-focused later on. You need to decide if that’s agreeable to you. Completing side activities is important because it rewards you with tokens that can then be spent on upgrading gadgets as well as buying suit powers and all-new suits and outfits for Spider-Man as they unlock. As another aside, remember this about Crimes and Bases – when you think you’ve finished them all, you probably haven’t. As new factions of enemies show up later in the game, more crimes and more bases will appear across the map. We also recommend you do always crimes when they crop up, since they spawn at random and you might find yourself desperately trying to force them to spawn for completion’s sake later on. Spider-Man’s greatest asset is arguably his spider-sense. When he lost it in the comics, Peter Parker had to build an Iron Man style suit of armor to even survive gunfire (that armor is in the game as an unlockable Spider-Man suit, even). As such, you should play and make use of Spidey sense – by which I mean dodge often, whenever the icon warning you of something appears above your head. Don’t mash buttons, and don’t think you can take an enemy down before the punch or bullet incoming lands – dodge first, then lay down the law. This links up to Spider-Man’s skills in the game, too – one of the first skills you should grab is Perfect Dodge, found early on in the Defender skill tree. There’s a blue flash in the Spidey sense notification above Spider-Man’s head that indicates the best moment to dodge, and with the Perfect Dodge skill you’ll then automatically web up enemies you dodge perfectly, taking them out of the fight for a moment. Perfect Dodge also leads to another skill, Dodge Window, which widens that window for perfect dodges. These skills can be real life-savers, so grab them early and dodge liberally. As an aside, it’s also worth pointing out that friendly fire exists for Spider-Man’s enemies – so if you dodge out of the way of gunfire and it leaves an enemy in the line of fire, that will damage them. In late-game encounters when powerful experimental weapons are involved this can actually take enemies out for you. 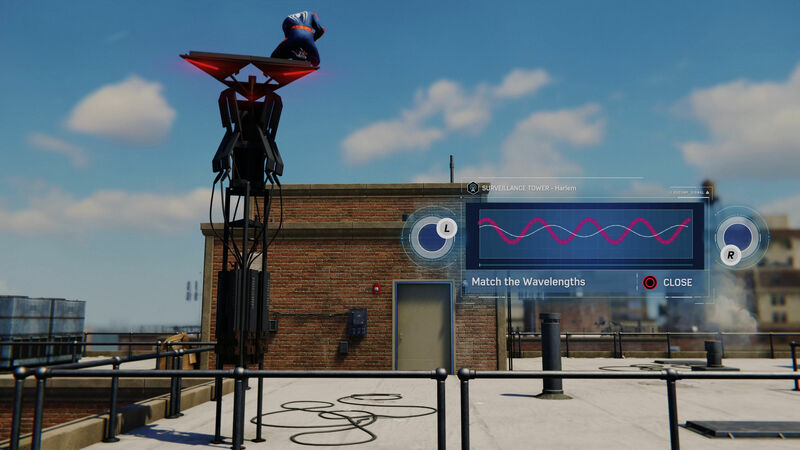 There are a bunch of different upgrades to remember in Spider-Man on PS4 – suit mods, gadgets, your character skills – and thanks to this it can be easy to forget one of the less immediately pressing options in the menu – Suit Powers. 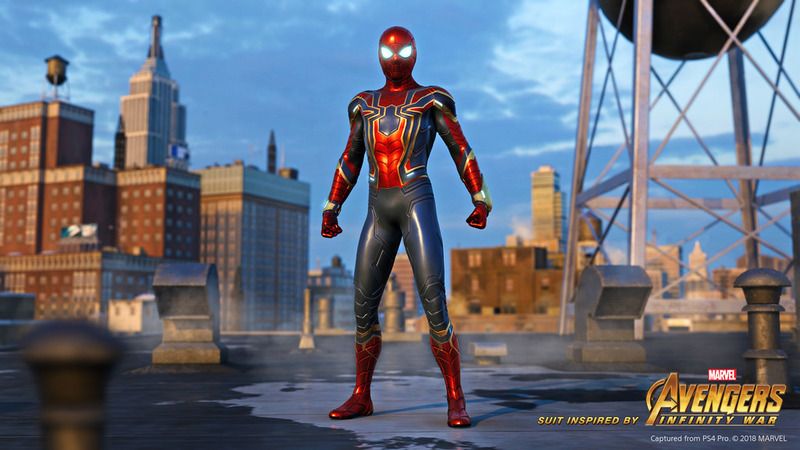 You’ll probably want to unlock new suits and costumes for Spider-Man just for the look alone, but most suits in the game also have an associated suit power attached to them – a special skill that’s related to the design or origin of that suit. The game points this out, but it’s easy to forget so we’re going to reiterate it here as a tip – remember that you can mix-and-match your suit and suit power. A suit you might not be a fan of the look of might well be worth unlocking in order to get its great power and use it on another suit – and you should definitely experiment with suit powers and suit mods in order to find a load-out that goes well with your play-style. 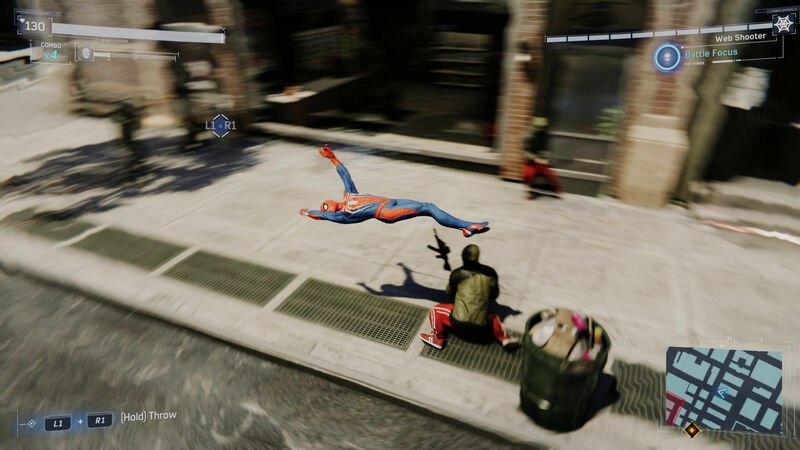 For example, the ‘Rock Out’ skill, unlocked with the Spider-Punk suit, is probably the best area-of-effect crowd control move in the game. Eye up suits and their skills and base your unlock order not just on the visual design but also the skills. Let’s be fair: the influence of Batman Arkham Asylum and its sequels on Spider-Man for PS4 is pretty obvious, though that’s no bad thing. It’s from here the game gets many of the ideas around its snappy combat, dodges and counters, but Spider-Man absolutely feels most like Arkham when you decide to keep things quiet and take down enemies in a stealthy manner. This is actually incredibly fun, especially when you’re trying to clean out as much of an enemy base as possible before inevitably having to engage in a couple of waves of heavy combat. However, there are two things it’s really easy to forget you can do here – I got a good halfway through my play-through before I really started using these skills in stealth segments. First, don’t forget you can hand from ceilings. Dash to a ceiling by aiming at it then pulling R2. Once you’re up there, you can hold the L2 to actually hang from the ceiling upside-down in classic Spider-man fashion – and this will allow you to more easily get to enemies to take them out. You don’t have to necessarily be up on a girder in the rafters this way! Also, don’t forget environmental hazards, like shelving that can be pulled down and the like. This is useful in combat, too, but enemy patrols quite often tend to hang around things like this, and if you’re careful you can sneak up on them, web it to pull it down, then zip back up to a point of safety before anybody else notices. Keep in mind that using R3 to ping enemies will reveal if taking them out will alert enemies to your presence – anyone marked ‘DANGER’ is obviously unsafe for you to stealth takedown. Spider-Man is just one guy when all is said and done, and the factions of bad guys you’ll face in Spider-Man for PS4 have access to a lot of foot soldiers. You’ll want to be careful to keep yourself from getting overwhelmed, and we’ve a few absolutely key tips for that to take in. First off, examine your crowd control possibilities. There are a few skills that can help with this. 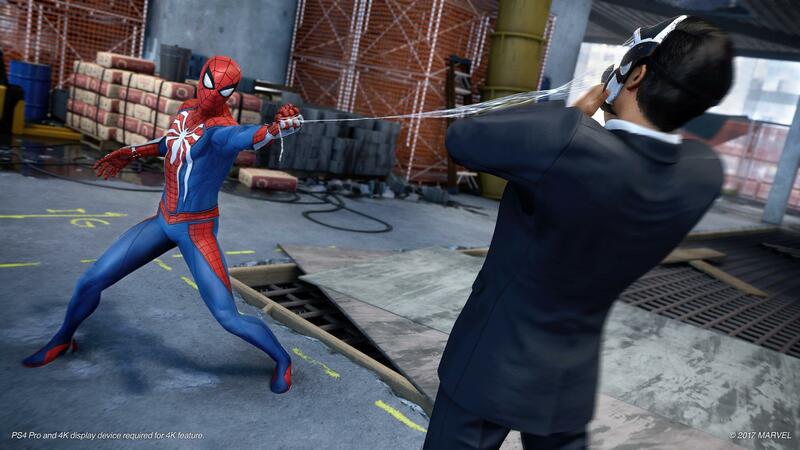 The Electrified Web gadget and Electric Punch suit power are useful – the electric shocks they deliver can jump from one enemy to another if they’re close together. The Web Bomb is also useful for obvious reasons, and we mentioned the Rock Out suit power can also help to clear groups of enemies with ease, stunning them. Don’t forget, too, to pick things up and throw them with your webs. Web Throws are decent to begin with, but there are two skills that can make them really useful – Hazard Zone and Spin Cycle. These two skills combine to ensure enemies can’t close in on you when you’re winding up a swing, and the wind-up will even damage enemies that it hits. You can also web up enemies and then throw them, or – and I like this best – take weapons from enemies and use them like projectiles, spinning them and throwing them back at your foe. Some skill upgrades are required to do this to all weapon types, but there’s nothing more satisfying than yanking an assault rifle or rocket launcher from an enemy before sending it flying back at them – and again, the wind-up is great crowd control. This may seem obvious, but if you want to go faster you should release your grip on web slings through the city at their lowest point. This’ll give you a huge speed boost, though not as large as some of those available by unlocking extra swinging moves in the skill tree. Releasing later on in a swing will significantly dent your speed of a swing, but it will also give you a lot more height. Mix and match the two to keep up the speed and height you want, but also keep in mind that if you need to regain height it’s pretty quick to point-zip to a higher point or just run up the side of a building. When you’re chasing something – a pigeon, a research station drone, villains in a vehicle – you’ll want to keep those swings shallow. Also, don’t forget wall runs. If you need to take a tight corner (as you often might when chasing people), one of the easiest ways to do it is to start running alongside a building’s wall and take the corner on foot. This is often easier than trying to control a wild swing at a sharp angle. 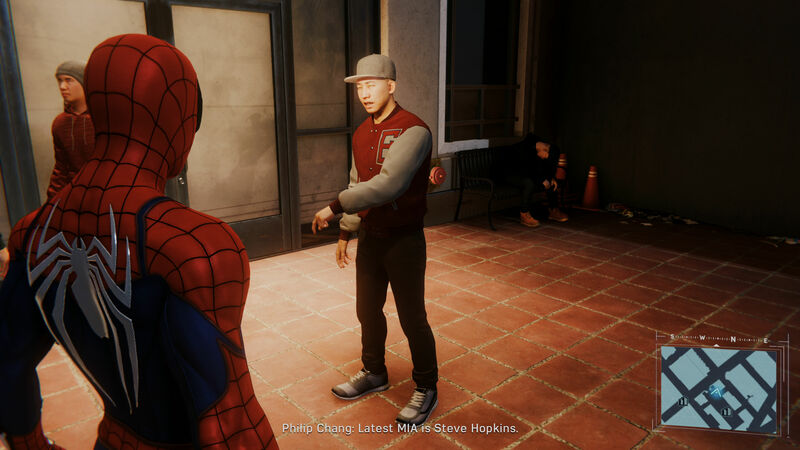 Once you progress Spider-Man’s missions to a certain point you’ll unlock the ability to Fast Travel to police stations and research stations around the map. That’s not the only way you can fast travel, however: Spider-Man’s representation of Manhattan actually has a fully-fledged subway system running underneath it. No, really. It’s not any faster than opening the menu, but if you want to keep yourself that little bit more realistic, the answer is pretty simple – just head to a subway entrance on street level and head down into the subway. 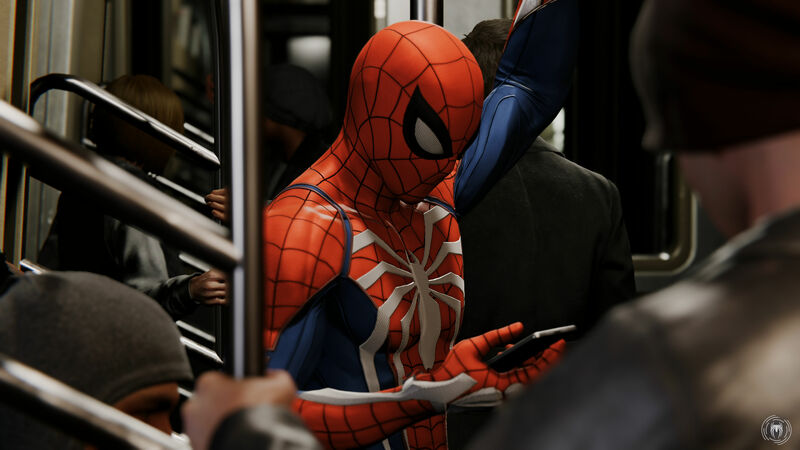 You won’t be able to do this during missions, but outside of missions you’ll be asked where you want to head and then see Spidey heading there on the subway like every other New Yorker. 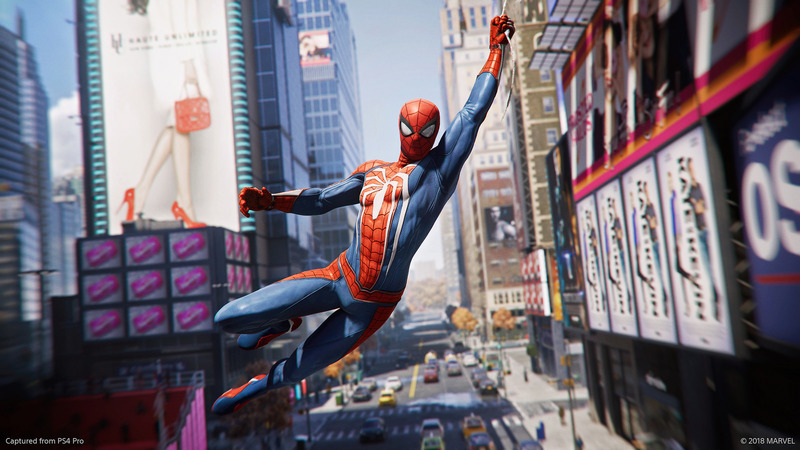 The post Spider-Man PS4: tips and tricks for your mission to save Manhattan appeared first on VG247.